We offer online courses and webinars so that you can learn how to use TAGteach from the comfort of your home or office. Our online training materials contain lots of videos and clear explanations on using TAGteach in many different applications. All our materials come with a 30 day money-back guarantee. If you are a certified TAGteacher, visit the member page to get the member discount on all courses. 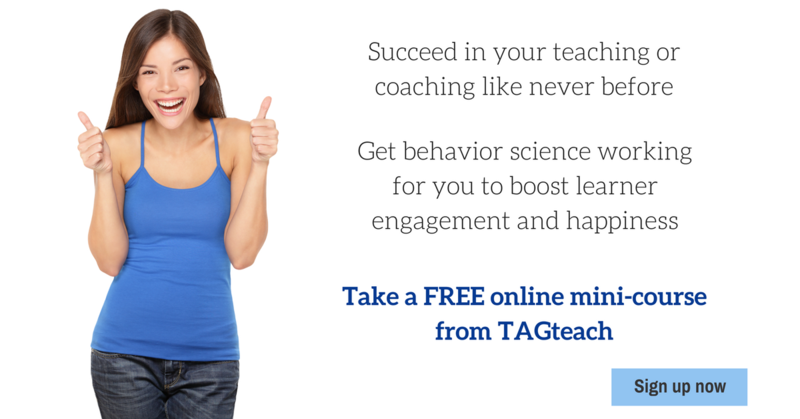 There are TAGteach webinar available on many topics. Some delve into the general application of TAGteach principles and some are specific to particular applications.